Are you a nonprofit prepping your books for the next fiscal year? Here are five of the biggest mistakes I continually see not-for-profit organizations make – leading up to their audit. 1) They don’t track restricted grants, gifts and donations. 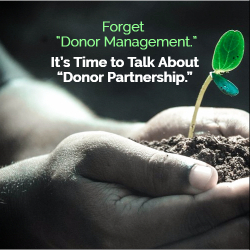 Many of the grants, gifts and donations not-for-profits receive are contingent on the demands of the donor. The restricted money is only received if the not-for-profit can prove the donation followed the restricted guidelines. Tracking this workflow now will better prepare your organization for any future audit. 2) They lack a digital archive system. Every audit season, many not-for-profits waste time scouring their offices for months-old documents. June is a great time to ask your organization how these documents are stored. If your documents from last year are stored away in dusty filing cabinets, you are likely putting your not-for-profit organization at a disadvantage with any audit. Working a digital archive system into your budget now will save your team money and resources over the long-term. 3) They don’t track petty cash. Every not-for-profit is continuously looking to minimize expenses. This means every penny must be accounted for. Yet, over the years, I’ve seen small and large not-for-profit organizations lack systems that track receipts and expenses for petty cash. Many not-for-profits waste hours on arbitrarily attempting to match expenses to calendar items, credit card statements or memory. This system, or lack thereof, paves the way for irregular expense accounting — a huge red flag to auditors. This fiscal season, your not-for-profit should work a simple expense application into the budget. Receipt Bank and Expensify are good platforms to sample. 4) The organization has incorrect reporting. 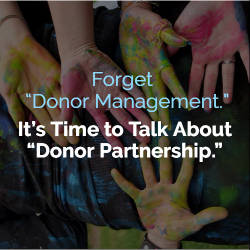 Pledges from donors are just that — a gift to be received at some time in the future. Future earnings are supposed to be accounted for as “Receivables and Income.” However, not-for-profits sometimes report pledges as cash and income as they are received. This incorrect reporting results in disparities in income and assets. Income is accounted for in the incorrect period, and assets of the year are incorrectly stated. Not-for-profits will run more accurate financial reports, and be better prepared for audit, by properly accounting for pledges. 5) There’s no tracking system for signed and initialed documents. Auditors frequently request documents that verify an approval process via signatures and initials. Most not-for-profits tend to overlook the workflow process of these documents. This leads to a hard time finding any documents that show the accountability of a person. To aid the approval process, your finance team should invest in a cloud-based system with built-in oversight approval. Bill.com, Expensify and Concur are a few payable tech solutions that are worth the investment this fiscal year. The nonprofit sector is the third-largest employer in the United States and continues to grow, so it is more crucial than ever for business owners to boost job satisfaction and retention. The good news is most nonprofit employees are happy (85% are satisfied, highly satisfied, or extremely satisfied). Nonetheless, any CFO’s goal should be to shift the standard from simply satisfied to truly engaged so staff will stay on at the organization. engagement extends further. Employee engagement requires willingness to expend extra energy and time toward achieving the organization’s goals, and the employee must also believe that those goals mirror his or her own. This is especially important at not-for-profits, given their limited resources and smaller budget when compared to their for-profit counterparts. The challenge for nonprofit C-level staff is to create an organization where employees are engaged and stay for the long-term. But in order to make changes, you need to know what can and needs to be changed. Although 90% of business executives understand the importance of retaining staff, less than half have any idea of how to do it. The necessary responses are multifold, but the following 3 areas should be significant considerations for those directing a not-for-profit organization. As the business owner or director of a nonprofit, you need to demonstrate the value of engagement yourself first. According to Dr David Dye of Deloitte Consulting LLP, “When the CFO leads on an issue, it gets more attention than when it’s sponsored just by HR.” If you want your staff to be engaged, you have to be their example. Every day. Inspire your employees with your words, communication, and action. This is essential for creating a real culture of engagement for your organization. But it’s also vital that engagement with the work and other employees trickles down throughout the organization. If managers below the C-level don’t all seem committed to functioning as a team with the staff they are responsible for, your example will make a limited impact. The problem is, your managers may not realize this, or they may not realize that they’re not doing this effectively. Managers have a habit of overestimating just how effectively they communicate on a daily basis with their employees. 87% of supervisors stated they had an open-door policy, while just 64% of employees agreed. Though 68% of managers stated they consistently held meetings, only 45% of their employees reported that they met their managers on a regular basis. Engagement has to flow down the command chain on a daily basis for all staff to see it and start to embody it themselves. Passion separates employees at nonprofits from other industries; “A strong affinity for the organization’s mission” continuously rates as the top relationship to an employee’s job satisfaction in nonprofits, whereas it ranks 20th out of 25 factors in for-profit sectors. This is a real edge for nonprofits, as it’s been proven that mission-driven companies have a 40% higher level of staff retention. The key is to bring your mission to the forefront of your operations so that your employees can really appreciate it, connect with it, and become more engaged with work as a result. And it’s not just about what your not-for-profit is trying to do for society. How your organization operates on a daily basis is of great importance to your staff, too. This is why it’s essential to ensure you have the right culture in place. The organization’s culture will be determined by the values that are expressed by leadership, as we have previously discussed. So, the desired beliefs of the nonprofit must be clearly stated, reinforced, and celebrated. When an employee acts in a manner consistent with those desired core values, management should recognize and praise that employee. This is especially true as more millennials (18-35 years old) enter the workforce, for whom “positive culture” and “a calling in work” are vital mindsets. If team members think they’re on the right track, they’ll enjoy a boosted morale – while your nonprofit enjoys better staff retention rates. Without putting too fine a point on it, money matters. Nearly half of employees report dissatisfaction with their pay given their skill set and effort exuded. You should strive to match individual wages with expectations and needs. But studies have also shown that while increasing wages to meet employee expectations drastically improves morale, boosting wages beyond that level has a flat effect on job satisfaction. In other words, employees find it more important to be appropriately paid than to make more money overall. Given the difficulty and apparently limited effectiveness of increasing nonprofit salaries, CFOs should explore alternative financial vehicles for staff retention. The Merrill Lynch Retirement Study reports that younger employees are going to become more dependent on their savings and investments, as opposed to social security, to support themselves during retirement. By offering retirement and death benefit plans, nonprofits can tap into staff needs, and retain key talent without having to augment pay. Customized financial wellness programs are another potential offering. With their individual tailoring to each employee’s situation, these programs can save staff a considerable amount of money. Not only does this create goodwill towards your company and encourage employees to stay on, but it doesn’t bite into your equity either. This kind of cost-effective retention solution is ideal for a cash-strapped nonprofit organization. 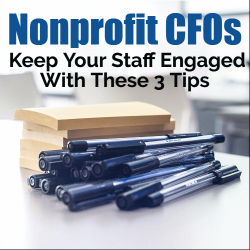 This checklist is but a start for CFOs who want to lead a nonprofit where enthusiastic employees work hard, emulate a culture of engagement, and stay on. The best part is, none of these changes cost you any of your equity. But don’t overlook these tips as quick fixes for later. Only 55% of nonprofit employees plan to stay with their current organization beyond the next two years. Make sure that’s not the case at your not-for-profit by giving your staff the right example, the right mission, and the right benefit package today. Where do you see a need to improve at your nonprofit? Let us know in the comments section. The salaries of nonprofit employees – especially those of executives – tend to draw more scrutiny and controversy than those of the private sector. As tax-exempt organizations, nonprofits should establish a series of best practices for selecting salaries. For nonprofit managers, this involves understanding regulatory restrictions, and creating a documented path to provide proper compensation for each member of the organization. The guidelines below will aid you in defining value for your team members, while protecting your nonprofit from unfortunate IRS penalties. If you’re in a management position at your organization, we can be sure you’ve got a bright mind. Unfortunately, that’s not enough for you to define what qualifies as an appropriate salary level for every position. The NonProfit Times crunched the numbers in 2014 to find average salaries for 236 positions within nonprofit organizations. Can you guess how much an average Chief Marketing Officer made in a year? What about a graphic artist? The answers were $110,000 for the former and $45,000 for the latter. If your guesses weren’t within $2,000 of the real answers, you may need some calibration to your salary clairvoyance. Assuming, estimating, and even relying on your own past experience are all faulty methods for determining the appropriate salary for your employees. Spend time doing the work necessary to compare what other nonprofits offer for similar positions, and create a salary range flexible enough to adapt to variances in experience and market demand. You may want to purchase surveys that show average wages and benefits for nonprofits, especially those of the same size as yours. Survey information generally doesn’t cost much, and you can utilize these surveys to further analyze other positions within your nonprofit, and scour for wage gaps within your organization. The legwork in the above point will help you determine initial salary levels — but as time goes on, you’ll also need to offer sufficient raises to hardworking employees. Create a consistent set of benchmarks that work for your nonprofit, and apply them to all positions across the board. You may not be able to reach industry standards in your first year or two, and not every employee will agree with the standards you have set, but having a documented and concerted plan will save you plenty of grief in the future. Assess your current staff, and determine whether or not each person’s absence would greatly affect the team’s output or efficiency — especially knowing what you do about the market value for each job title. This exercise will help you identify exactly who should be given raises first (and soon), before they leave for better-paying positions at other organizations. Too many managers seem to forget the significance of benefits packages. There are a lot of ways to attract and retain employees beyond increasing salaries. Your staff may appreciate the flexibility of their schedules, or the amount of vacation/sick days they are granted each year. Some nonprofits truncate their schedules in the summertime, or make Fridays work-from-home days. Others provide occasional staff lunches or treats, as fun morale boosters. These benefits aren’t intended to replace a bump in salary (these perks shouldn’t be used in place of a raise), but they can be powerful complementary pieces to include in your compensation plan. For executives, benefits may include a company-covered car, reserved parking, or travel expenses for a spouse or partner. Benefits can also help employees plan for the future, through supplemental insurance, retirement plans, or company-provided financial counseling. Explore all of the options available and consider which ones may offer the most value to your key employees. 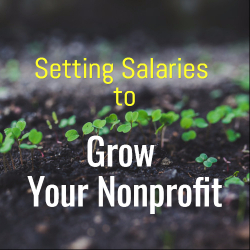 While you seek to employ the best in their field — and often that means offering competitive wages — your nonprofit’s salary packages must fall under IRS guidelines for reasonable compensation. That means you can’t get overly generous with your salary offerings to key executive employees. Punishments can include revocation of tax-exempt status, or (more likely) hefty intermediate sanctions. An intermediate sanction is an excise tax imposed upon a “disqualified person” who receives an unreasonably large salary and the person(s) who authorized that salary. A “disqualified person” must be in a “position to exercise substantial influence over […] the organization.” This includes executives, board members, other substantial contributors, and family members of the aforementioned list. The specific excise tax imposed is 25% of the excess amount, with a further penalty of 200% if the first sanction is not paid on time. The managers responsible for permitting the unreasonable salary are punished with a 10% excise tax of the excess amount, up to $10,000 per transaction. The good news is the IRS presumes compensation is inherently reasonable unless proven otherwise, so long as the nonprofit abides by standard procedures — known as a “rebuttable presumption of reasonableness.” The spirit of reasonable compensation is that enterprises in the same position as yours would similarly value the role in question. As long as a nonprofit provides documentation explaining its basis for the salary, uses “appropriate data” (see below) to select the salary, and approves the salary by an authorized body within the organization, the requirements for reasonable compensation have been met. The IRS shoulders the burden of demonstrating otherwise. Nonprofits would be wise to accrue the comparability data, authorization, and documentation in advance of the compensation approval, to further protect themselves from an IRS inquiry. Forms 990 and Part I of Schedules A (filed with the IRS and open to public acquisition) often provide the necessary figures to determine reasonable benchmarks for nonprofit salaries. Note that nonprofits may, at their discretion, use for-profit organizations to determine market rates — as long as the job title, organization size, and organizational mission are similar in nature. Analyzing salaries is never the most pleasant of discussions, but if you don’t strategize for who you are paying and how much, you risk losing your best employees. Nonprofit workers naturally love the opportunity to fulfill a mission that provides for their community or society; but they can’t work underpaid for long. Establishing salary guidelines and precedents for raises not only bolsters feelings of goodwill within your nonprofit, but when done appropriately, maintains public trust and lessens risk for your organization. In the corporate jungle, the nonprofit is a very different animal. 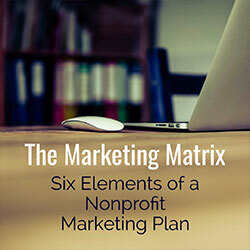 From its purpose and goals to its bottom line, a nonprofit organization operates in a unique manner, one that is essential to understanding, for successful entry into that specific market niche. 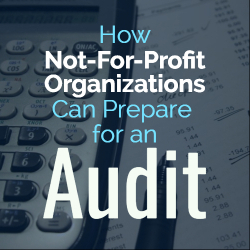 Much of the nonprofit business plan is focused on tax issues and compliance (rather than sales and profitability), with such nuances requiring thoughtful and careful planning. Various types of companies and businesses usually form nonprofits, from educational organizations to religious entities to charities. Many potential Nonprofits apply for, and qualify for, 501(c)(3) status. The primary benefits to nonprofit classification are, 1) limited liability for certain management team members, and 2) assorted tax breaks. The most obvious difference in designing a nonprofit business plan over a traditional business plan is that the focus is not profit-centric. From Business 101 onward, every business plan was designed to elucidate the path to profitability as the beginning and ending goal. Not so with a nonprofit, which centers almost exclusively on organizational purpose. A nonprofit’s business plan also has a significantly different target audience — the IRS — with equally different concerns and prerequisites. 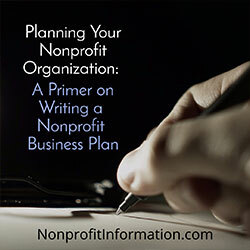 In order to satisfy the parameters for nonprofit incorporation, it is vital to work with a knowledgeable partner/team in creating a realistic business plan that will provide the best chance for nonprofit acceptance. The fundamental differences in nonprofit business plans over traditional business plans are numerous, and require careful consideration and review. When dealing with the Federal Government, every “i” must be dotted and “t” must be crossed, then checked and rechecked for conformity to governmental guidelines. Though the prospect of forming a nonprofit may seem initially daunting, the process is not nearly as intimidating as it appears. Armed with the right information, operational strategy, and keen attention to administrative detail, you can establish a nonprofit with minimal problems. Reflecting on various themes and insights to discuss in an article about branding, I kept coming back to the experience I had working with John Jay College of Criminal Justice and the dramatic impact this program has produced for the college. This ignited my decision to present this program as a framework for discussing all of the issues surrounding a comprehensive branding program, from its inception through its evolution and enrichment. 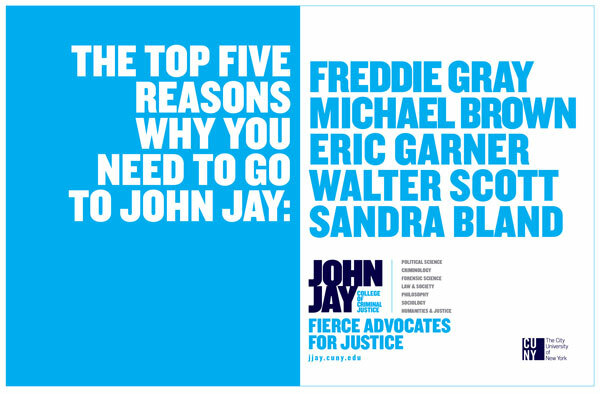 One of the valuable by-products of discussing the John Jay brand is the role it, and its President, have played in addressing the inflammatory issues surrounding social and criminal justice these past five years. The college has been around for 50 years, founded at a time not unlike the present day when there was deep concern about the role of police and urban American issues of race, conflict and violence. When a number of national commissions recommended that police officers get a college education to better prepare for their role, John Jay was formed to serve as the police academy of the New York City Police Department. It offered courses on Shakespeare, chemistry and social sciences, as well as criminal justice and law. 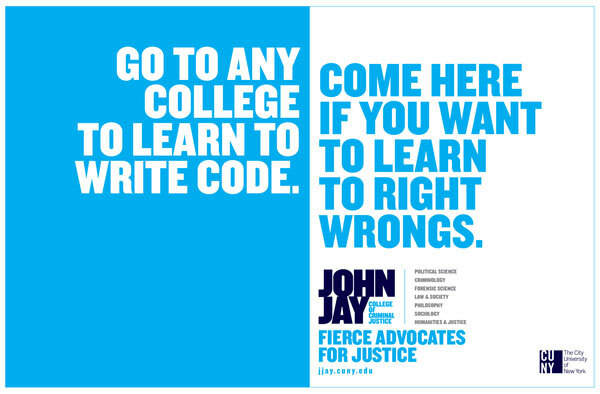 Fast-forward to today, John Jay is now a college of 15,000 students offering a broad range of majors. Some students still go into law enforcement, but an increasing number are moving on to medical school, law school and a wide variety of professions. As part of the City University of New York (CUNY), the largest public urban university in the world with over 500,000 students, the college provides access to students who come from immigrant and working-class backgrounds where higher education is not typically part of the family conversation. When Jeremy Travis was appointed President over a decade ago, the institution initiated a major transformation program. They became a full four-year liberal arts college,” phased out the Associate’s Degree, and accepted baccalaureate, masters and doctoral students. This put pressure on the college to raise its profile in the world of philanthropy, corporate affairs and civic life. To lay the foundation for the brand platform, we emphasized that a brand identity is derived from a clearly defined purpose—your overriding reason for being, what problems you are trying to solve, and the driving force behind the college’s strategies, decisions and investments. In other words, Your True North. Given all the disruption and change at the college, defining a clear and upbeat purpose would provide coherence for the faculty, students, alumni, Board and donors. It could be their positioning or be the force behind a distinctive, memorable positioning. When we work on a project of this scale, we structure our research into three areas. One, the dynamics of the market they are operating in. Two, the multiplicity of audiences that we want to engage with and support the college. And, what we believe to be the most critical consideration: Engaging all the stakeholder groups on the campus to define the culture, unique strengths and passions that provide the foundation for defining the college’s purpose, positioning and voice. a profusion of noise in the marketplace. We looked for opportunities to differentiate the college. Who’s in the space? How are they positioning their programs? What do they stand for? How is John Jay perceived? What are the misconceptions about John Jay? Do we see any leverage points—how can we move the needle, differentiate the college and opportunities to own a new and exciting brand identity. We had to address a vast array of audiences who have influence in any educational institution. The Provost, Deans, and Faculty will play an active role in bringing support and credibility to any brand identity program. The students were a particularly challenging audience. The student body is incredibly diverse, politically correct, financially challenged and eager to translate their education into a job. An upbeat and informed alumni is be critical to making this transformation successful. Finally, the college has an accomplished Foundation Board that plays a vital role in raising financing for special programs, research and events. Our process for drawing out the unique character, programs, and passions at the college was highly interactive and engaging for all stakeholder groups on the campus. We made presentations to the faculty senate. We held extensive focus group sessions with students and conducted individual interviews with all of the members of the Board. We went outside the college to talk with leaders in the educational market and media and reviewed all the literature produced by the marketing and public affairs departments. And we carefully studied every speech their exceptionally articulate president had ever given. All this research brought to the surface deep insights about the college’s identity and how we might reconcile where the president and his leadership team wanted to be—their aspirations against their history, their future versus their past. We had to articulate any contradictions and tensions that needed to be resolved before we could move forward. The college had already completed a market research study, which provided invaluable information about where John Jay stood in the market, how they compared to competitors, and opportunities to differentiate the college from competitors. It indicated how the students felt about the college, what they were looking for in the future and what their parents were looking for. Some of the most interesting and salient insights came from in-depth interviews with guidance counselors in high schools. 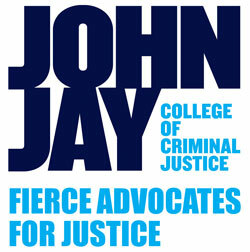 All the research findings confirmed that John Jay had been transformed into the preeminent national and international leader in educating for justice—a broadly envisioned educational experience embracing social, economic, political and criminal justice. A new and exciting vision for education in justice provided its students with the skills, insights and passion to become positive agents of change. It is important to emphasize that this purpose statement is not an advertising slogan. It is a standard bearer of what the college stands for, a rallying cry and a lens for making strategic decisions. It dramatically sets the college apart from its competitors. This is enhanced by the fact that President Travis is an authentic and articulate spokesperson for this proactive new direction. AS FIERCE ADVOCATES FOR JUSTICE, WE ARE DEDICATED TO PROVIDING A NEW VISION FOR AN EDUCATION IN JUSTICE THAT IMBUES OUR GRADUATES WITH THE SKILLS, INSIGHTS AND PASSION TO BECOME POSITIVE AGENTS OF CHANGE. 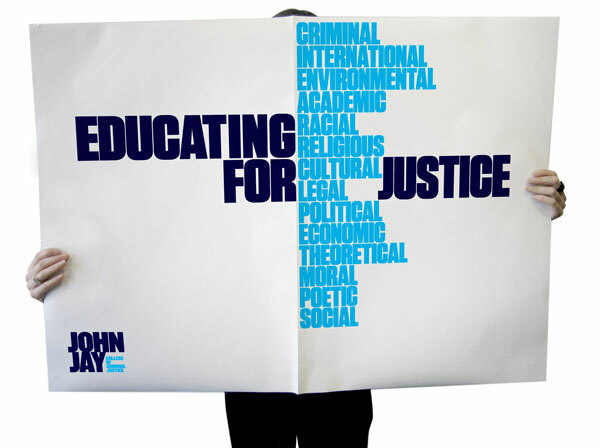 We also wanted to reinforce that John Jay looked at JUSTICE through many different lenses by developing a graphic that imbedded the many faces of justice—from criminal to religious to political and, for the English faculty, poetic—into their traditional EDUCATING FOR JUSTICE tag line. Another critical element in this program is the brand voice—the way we speak to all of the constituents with a distinctive, clear and authentic voice across all platforms. We felt the college’s communications should be BOLD, HUMAN, DYNAMIC and CLEAR. As fierce advocates for justice and leaders of change, we want to inspire people to stand up and take notice. “It has given us a language. The multiple definitions of justice allow us to talk about expression and our value proposition in an effective way. It has helped us in talking to and recruiting new students, promoting scholarships and positioning the college for the future,” according to President Travis. You’ll find no statues of committees. 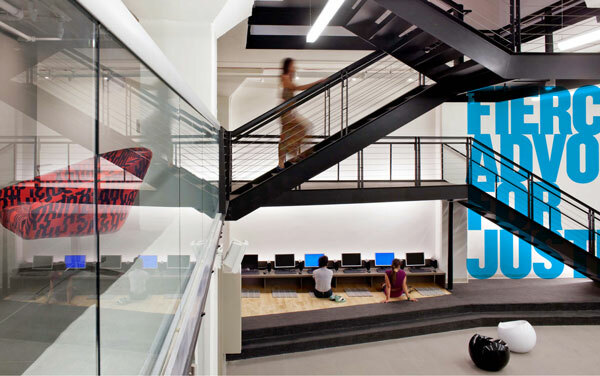 The focal point of the new visual identity is a big, bold, powerful expression for John Jay. The design system featured upbeat photography in the print materials, elegant videos and a refreshed website. The organization’s PURPOSE was stenciled in large type on walls along with the graphic depicting the expanded definition of justice. We maintained continuity across all the publications by using JUSTICE in the names—Justice Matters is the name of the semi-annual magazine sent to all students, faculty, alumni and thought leaders in the justice field. This was a “big, bold statement” that felt appropriate for a major New York City institution and a fierce advocate for justice. There are three programs that have been extremely effective for John Jay. 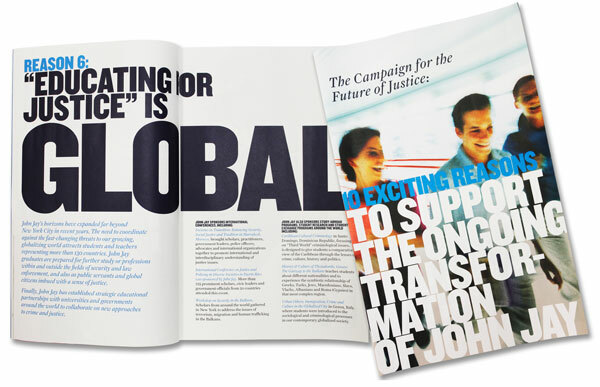 To support its first significant fundraising campaign, the college prepared a handsome, fact-filled newsprint magazine, 10 Exciting Reasons To Support The Ongoing Transformation of John Jay. It contained a comprehensive explanation of the reimagined academic programs, the revitalized faculty—including background on Pulitzer and Presidential award winners, a presentation of the major research programs, the global reach of its programs, and a listing of John Jay graduates with leadership positions in the public and private sector. The information in this publication provided invaluable source material for proposals, presentations and other communications. Every two years we provide Justice Awards to three people who are fierce advocates of justice. 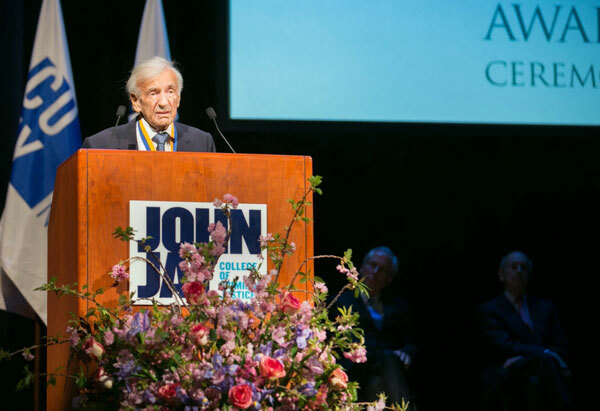 Elie Weisel is one of the recent awardees. 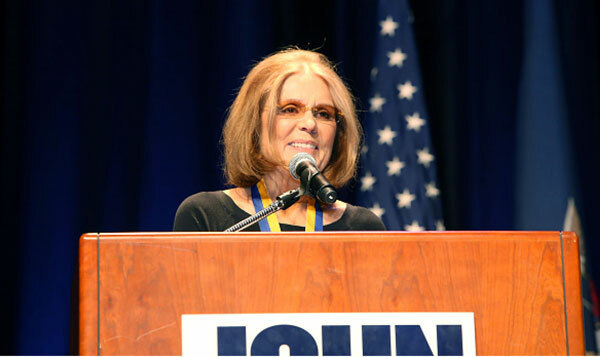 Last year Gloria Steinem, Bryan Stevenson, and Anthony McGill were honored for their accomplishments in the face of injustice. Finally, the college introduced an extremely successful advertising campaign on the New York City subways. 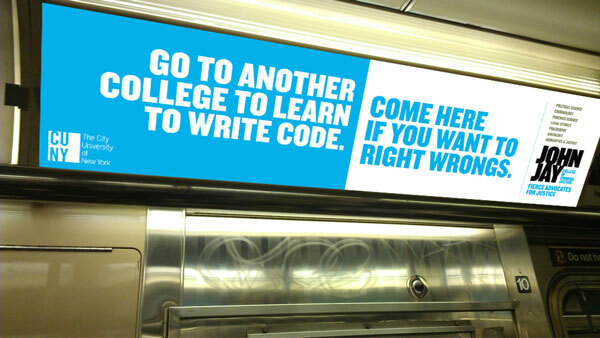 The first ad copy said, “Go To Any College To Learn To Write Code. Come Here If You Want To Learn How To Right Wrongs. There are seven ads in the campaign that were viewed by over 6 million subway riders, along with 2 million connections on a special digital version. Annual fund raising increased 60% when the program was first introduced and has continued to grow at similar rates since. The number of alumni donors has jumped by 35%, and alumni have contributed over 50% more in recent years. 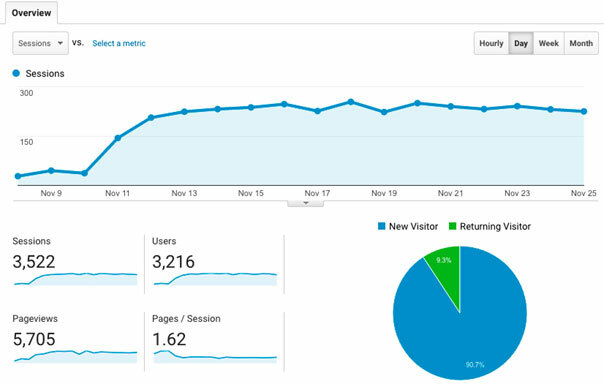 There has been at least a 34% increase in applications since the advertising campaign was mounted. The foundation board has successfully recruited 12 new highly motivated and accomplished members including alumni, business leaders and not-for-profit executives. “So let me tell you how this program fits so well with this institution and to me personally,” President Travis mentioned in his annual address. “When we welcome a new class we say—‘Welcome to a community of fierce advocates for justice.’ When we first opened our new building, Secretary of State Hillary Clinton attended. Fierce Advocates for Justice. 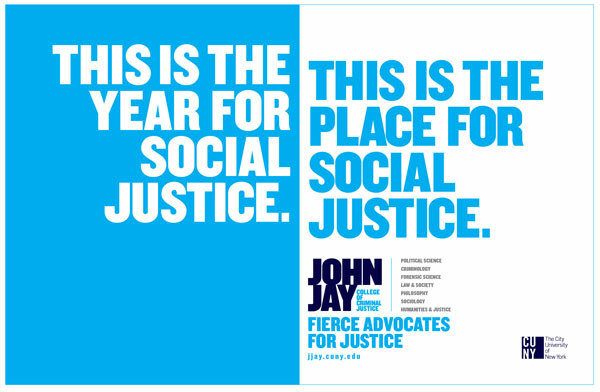 Those four words have given John Jay a powerful identity and a reenergized future. Our work here is done. 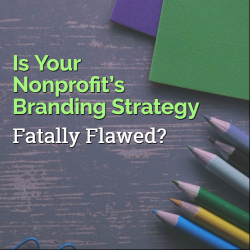 Is Your Nonprofit’s Branding Strategy Fatally Flawed? You’ve got a great cause and the passion to pursue it – but how’s your marketing? Are you making a fatal mistake with your branding? If marketing were easy, everyone would excel at it. Thing is, it’s not. There’s a lot that goes into devising a successful marketing strategy. You need to know your target audience, for one – you need to know what they’re looking for, and what resonates with them. You need to understand what they care about, and what sort of language they best relate to. But more importantly, you need to understand yourself, too. What’s your core message? What sort of personality do you want your brand to have? And sure, you want to make the world a better place – but how do you intend to do that, exactly? And why do you want to? These are all questions you need to ask yourself at the outset, before you even think of hosting any sort of charity event. Because if you don’t know the answer to them, you can’t rightly expect anyone else to, either. As a result, your messaging will end up blurry and confused – and it’ll inevitably wind up getting lost in the noise made by the thirty other nonprofits that are trying to attract your audience’s attention. Of course, even if your branding is on-message, you also need to think about how your logo looks. 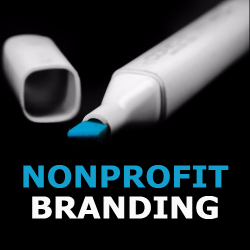 Avoid aping what other nonprofits in your field have already done with their logos. While it’s alright to use similar colors or imagery, do something interesting with them. Be unique – don’t just settle on the imagery common to your cause. If you see another organization infringing on your logo, do something about it. If you allow copycats to flourish, then even the most unique logo will end up looking boring and samey. Design your brand logo with your audience in mind. Ask yourself what sort of imagery your target demographic would love to see in a logo, and see if you can make something from that. If you’re running a nonprofit, it’s to make the world a better place – and that’s awesome. But good intentions aren’t all you need to be successful. Without an understanding of marketing and knowledge of branding, even the best intentions won’t bring people to your side. When nonprofit boards underperform against the expectations given, it’s a natural reaction for those in charge to want to terminate board members who sandbag. But there’s no quick fix for turning around inactive or ineffective boards, so the planning of board member selection needs to be done strategically with deliberate action of injecting cultural and professional diversity. 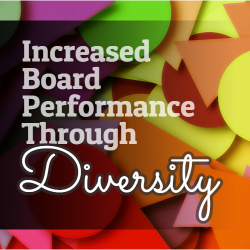 It’s through diversity that you can increase board performance from the beginning. Here in the United States, nonprofit organizations are required by law to have a board of directors for the governance of their operations. Individual states set the requirements that dictate a minimum number of members needed, their duties and responsibilities to the public, and policies they’re mandated to draft. But depending on the state in question, this may differ. While forming an organization and acquiring tax exempt status is an arduous task, establishing an effective board of directors remains even more challenging for many. I’ve seen this first hand. Someone with a great idea wants to satisfy a need in society, so he or she hastily forms a nonprofit organization to fill that void, oftentimes overlooking program longevity. The founders of these startup nonprofits recruit board members from their immediate circle of influence including their friends, family, or acquaintances to satisfy those pesky legal requirements. These are people they trust, which adds a certain amount of comfort in bringing them on board, but over time, what seemed like a great idea turns into a nightmare with challenges around fundraising, recruiting volunteers, managing finances, appointing a CEO, developing programs, and the list goes on. The board has passion and wants to support. After all, this is their friend. But what went wrong? The answer is simple, what the board of directors lacks in professional know-how, business sense, and social capital, cannot be made up through any amount of passion alone. What I’m about to say here isn’t new, nor will it shock you, but most people surround themselves with others like them. While this isn’t a bad thing, and even though these friends (the newly appointed board) are well intentioned, there’s an increased likelihood these “friends turned board members” have similar values, points of views, and perspectives. The board likely has cohesion, and while not always the case, there’s a possibility that this can result in social behaviors like groupthink. This is when decision making becomes impaired by cognitive inhibitors due in part to lack of openness and perspective. The appointing of the board of directors has greater implications on the tone, culture, and overall performance of the non-profit they govern. Forming the board is one of the first steps in founding a non-profit organization, and it’s also the most important. Forming the board needs to be done through diversity, because in the end it affects performance. Josefa Iloilo, the former President of the Republic of Fiji once said, “We need to reach that happy stage of our development when differences and diversity are not seen as sources of division and distrust, but of strength and inspiration.” While this was said in the context of diversity as a sovereign nation, the same can be applied to any workplace, volunteer corps, and board of directors. There’s a certain agility that comes from having ethnic, gender, and professional diversity. Having diversity creates a permissive environment for shared openness, different perspectives, a wide array of professional expertise, and social capital. Pew Research Center projects the disappearance of a single racial or ethnic majority in the United States by 2055, so with a more diverse America, a board that can think and act through the lens of the communities they serve provides advantages. This is the bottom line; having a diverse board creates an environment where creativity and innovation flourishes. It’s always the easy choice for organizations to recruit board members from their pool of members and associates (and even friends and family). However, it’s not always the best idea. The board has a primary function of ensuring the organization fulfills its commitment and responsibility to the public as stated through their mission, code of ethics, and charter. They achieve this through a check and balance system where accountability plays a vital role. Diverse thought and experience will benefit the board when creating policies around whistleblowers, conflicts of interest, and financial auditing and management because diverse groups are likelier to have stronger accountability measures. Another function of the board is resource acquisition. When acquiring resources for longevity of organizational success, you also increase the avenues in which you look for support, thus increasing one’s networks. Some of the resources in question may include human capital or be related to finances, but through diversity, acquiring said resources can be accomplished with social capital. This can include the board’s access to personal and professional contacts that have the necessary resources for the organization. A diverse board will be able to satisfy the acquisition of resources through their reputation or credibility (this is mostly true with members who have high visibility). High visibility board members can create a sense of “legitimacy” to the organization’s stakeholders and the public. More importantly for organizations that are focused on social reform and advocacy work, there’s also the consideration of board members who have political clout. Political capital that exists amongst the board (think connections with local, state or federal governance) can work wonders when advocating or trying to change legislation that impacts those you serve. Diversity can also assist in setting the organization apart from others. There’s an added benefit of being held in higher esteem by the public versus organizations that aren’t diverse. Boards that are diverse are adhering to social norms and acceptance, sometimes resulting in garnering more support. Whether your board is already formed, or you’re starting from scratch, it’s not too late. Try some of these practices to develop a board that’s inclusive and starting off on the right foot. Implement and enforce board terms and term limits. Have a set number of years per term, and also limit members to a set number of terms. This forces selection of “new blood.” With the introduction of new members comes new ideas, different perspective, skills, and access to resources that can be acquired through a member’s social capital. Avoid generalized screening methods. Implement a process that screens for particular skills and expertise in areas where you have requirements. With a more stringent vetting process, you weed out those who may be well intentioned, but lack management skills or those who may be incompetent. This results in onboarding of members who exercise critical thinking and sound decision making and who work effectively. Provide diversity training. Invest time and money into training your board of directors like you would for other volunteers or paid staff. Like skills training, other forms of training will benefit the governing board. Even though the effectiveness of diversity training is largely debated, there’s evidence that training helps create empathy, reducing discriminatory behavior. Training alone isn’t the cure, but it’s a great step towards minimizing discriminatory behavior that negatively impacts the board’s satisfaction. Include others in a diversity strategy. Diversity means inclusion, so take an inclusive approach, allowing others to be part of a holistic strategy beyond a single person or decision maker. This can take the form of working closer with cultural centers, community partners, and other reputable nonprofits who specialize in diversity and inclusion. By working with partners who may be subject matter experts, you can increase immersion into the cultures you’re trying to better understand and serve. While diversity in and of itself won’t lead to success, this is a great start. By implementing a selection process, adopting governance policy, and investing in workforce training, you take necessary measures to set up the board for success. These steps will encourage and foster an environment of inclusion for the organization’s other aspects. The impact will transcend staff, even increasing diversity in the volunteer corps. Boards with cultural, ethnic, gender, and professional diversity tend to have a more diverse leadership cadre, resulting in diversified resources. Just be sure to err on the side of caution, don’t get overzealous and select polar opposites; this may create the perfect environment for conflict. Doing so could act as a pitfall if not navigated in a thoughtful manner, but when done correctly will increase the likelihood of success from the onset. 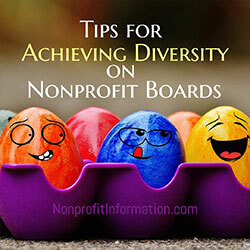 Diversity in nonprofit governance will continue to be a sought after “must have,” and not just for the obvious reasons of cultural and societal norms. Diversity also impacts long term performance of an organization, so get ahead of the curve and plan for the future today.